The historic village of Grosio welcomes you with the historical Rock Engraving Park. Slightly elevated beyond the hydroelectric plant of A2A, reminds us of the ancient origins of the village. The picturesque bell tower of the Castle of San Faustino and Jovita (X c.) and the most impressive ruins of New Castle (XIV c.). This area was in fact chosen as a strategic settlement by our prehistoric ancestors who, between the IV-I millennium BC, recorded on the rock more than 5000 representations, leaving us an extraordinary witness of that time. Grosio grand entry into the parish of St. Joseph (XVII sec. ), With its characteristic facade in green stone, it stands on the square bordered by elegant balustrades. To his right the large park of Villa Visconti Venosta, with its elegant neo-Renaissance loggia, guides us in the past history of this noble family who chose Grosio summer residence. Its most illustrious member was Emilio Visconti Venosta enriched the house with a multitude of works of art, objects and furnishings. Beyond the Villa we enter the narrow streets of the historic center of the country where, between steering angles and elegant stone portals green, you come to the Romanesque Church of San Giorgio (XVI sec.) That is one of the artistic symbols of religiosity Valtellina , having retained within its original fifteenth aspect. 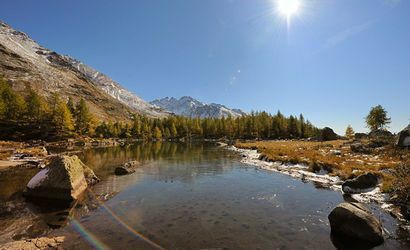 Nature lovers and mountain walks will find in Val Grosina paradise. Easily accessible from Grosio it leads to Ravoledo until Fusino , then split into two branches : one to the west and then to the Swiss border : the Val di Sacco , and the north in an east branch leading to the village Eita . Peaks over 3000 meters offer the possibility of climbing and trekking to high level . For beginners there is still the possibility of walking in high altitude and spend a day in the magic of a valley that bears the testimony of a miraculous apparition . A Malghera ( Sacco Valley ) you will be impressed by the fact fairy shrine at 2000 meters ! During the winter season it is possible to enter into Val Grosina using the " snowshoe " . Fans of cycling and mountain biking ? You are right : the Path Valtellina is a fantastic pedestrian and cycle track that runs through the valley starting from Grosio to Colico , at the mouth of Lake Como . If you are in good shape , always from Grosio , the famous climb of the Mortirolo Pass (Pas- Foppa ) . Nearby other steps that have made cycling history as the Stelvio and Gavia . 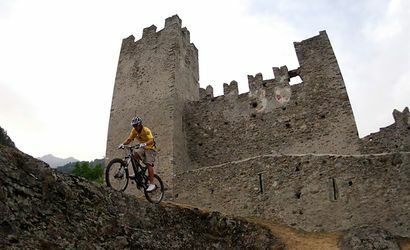 Grosio is also stage the famous Transalp mountain bike tour through the Alps passing by our Val Grosina . 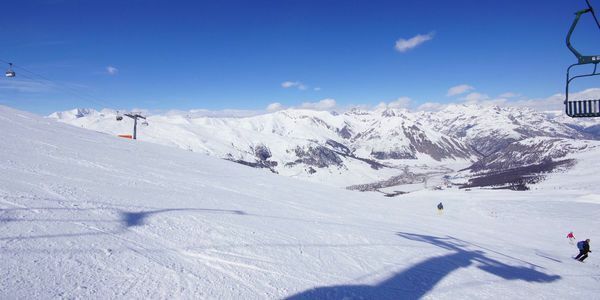 In winter, skiers can reach in 15 minutes the famous ski resort of Bormio . In less than an hour you can reach Aprica , Santa Caterina , Livigno or the Bernina Pass . In summer , for the die-hard , you can ski on the Stelvio Pass . 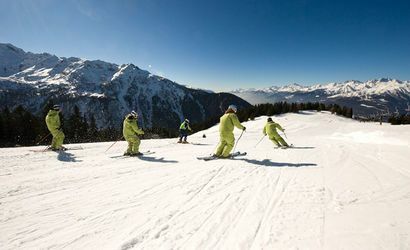 In winter people who are devoted skiers are able to reach in 15 minutes the famous ski resort of Bormio. In less than 1 hour you will arrive at Aprica, Santa Caterina, Livigno or the Bernina pass. For hardened skiers you are able to ski the Stelvio glacier in the summer!! In 15 minutes you are in Tirano, friendly town, and starting point for the legendary ride on the Bernina Express, UNESCO heritage. 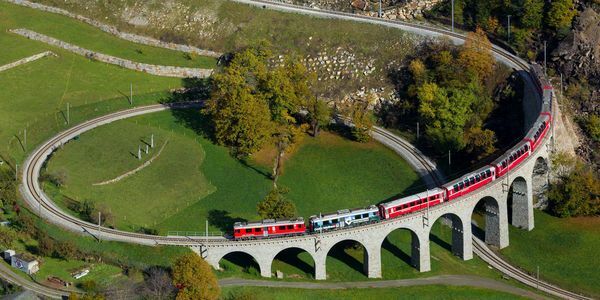 It's the highest train in Europe and it will bring you in close contact with the flora and fauna of the high mountains to reach St. Moritz. 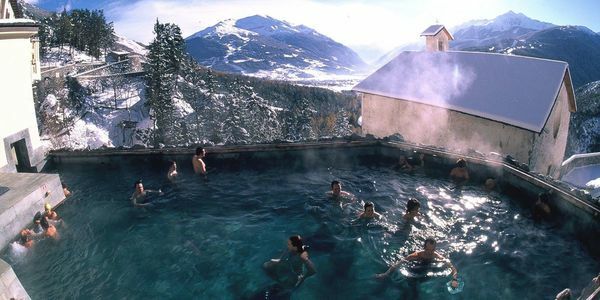 Just 25 km the tourist resort of Bormio , rich in tradition and history , offers relaxation at the Spa pool or at the Bagni Vecchi and Bagni Nuovi . In winter, skiing is king , you will find tracks suitable for all levels of preparation . One hour from the hotel the mountain resort " duty free ": you can refuel and go shopping among the 14 km of shops in the center of the country.The area of Mottolino is the place for those who love the fun downhill and mountain biking in the summer or skiing in winter with panoramic descents with great unevenness .